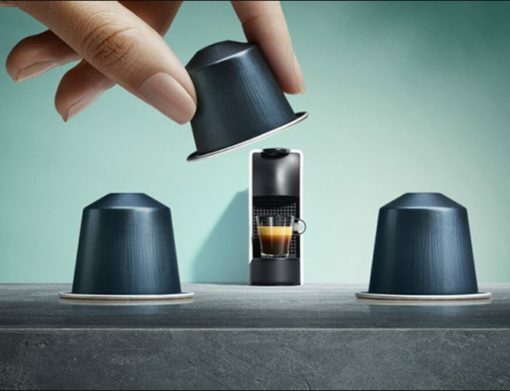 Though Nespresso does run good promotions on their machines, they rarely ever have any worthwhile sales on their pod sleeves. Usually any promotion around their pods involves giving a free accessory or something equally useless. The rarity of actual Nespresso pods at a discount makes their current promotion so great already. For one day only, you can get two free sleeves with the purchase of eight. That along with their free shipping on $50 orders makes this a fantastic deal that you should jump on right away. What does that actually add up to? 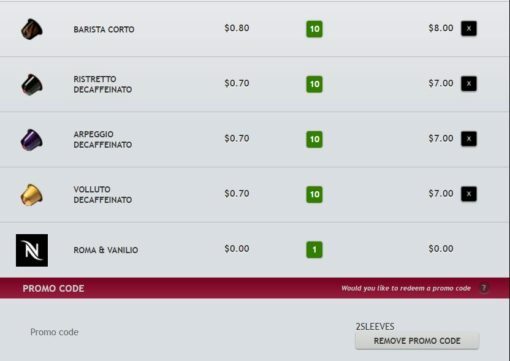 Another way of looking at this is that Nespresso actually having a 20% sale. The only negative to this all is that it’s an extremely limited-time offer (ONE DAY) which ends tonight at midnight Pacific Time and you don’t have a choice of the two free sleeves you receive. When you add the equivalent of eight Nespresso sleeves to your basket, you’ll get one free Roma and Vanilio sleeve for a total of 20 pods. Once your cart has the requisite amount of pods, input this promo code at checkout 2SLEEVES and you’ll see the two sleeves added to your cart without cost. On my order, instead of paying an average of $7.27 per sleeve, I end up paying $5.82 per sleeve because of this promo. For those liberal arts majors, that’s 58 cents per pod versus 72 cents per. Yes judgey, I like decaffeinated espresso. Why bother? Yes, I’m one of those people that likes the taste of coffee. You can place your order online or via phone. On any purchase of 8+ sleeves (80+ capsules), you’ll receive one free sleeve (10 capsules) of Roma and one free sleeve (10 capsules) of Vanilio coffee through Sep 12, 2017, 11:59PM PT (“the Offer period”). Just mention or type in 2SLEEVES and it will be applied. Of course, it’s all subject to “while supplies last”. You can read more about the deal online here.